Sending email from QuickBooks through Outlook is a widely used and significant function in QuickBooks Desktop. Emailing directly from QuickBooks is one of the most convenient features. If you use QuickBooks Outlook integration to send emails, it saves your time and effort. The benefit of sending QuickBooks emails from outlook is that the sent copy of Invoice or Estimate is saved in for future references. But at times, QuickBooks outlook email error obstructs the process hence, QuickBooks is unable to send the emails to Outlook. This article defines the steps to resolve “QuickBooks unable to send your emails to Outlook” Error. Emailing directly from QuickBooks is one of the most convenient features. If you use QuickBooks Outlook integration to send emails, it saves your time and effort. Get rid of the legacy method to print, scan and then email attachments, Outlook QuickBooks integration is an inbuilt feature of QuickBooks Desktop. QuickBooks outlook integrated emailing gets the job done with few clicks in QuickBooks. Moreover, this article explains the causes of the error. The common causes of QuickBooks outlook issues are cited underneath for your understanding, followed by How to solve Outlook QuickBooks issues. This message shows up if your computer has incorrect email settings. A damaged MAPI32.dll file can also result in this Error: QuickBooks is unable to send your emails to Outlook. If QuickBooks is running as an administrator the error shows up. Damaged QuickBooks components can also lead to QuickBooks Outlook email error. Unsupported Outlook Version stops QuickBooks to send emails. Your outlook account is open in the background while you were sending an email. If your QuickBooks is unable to send your email to Outlook, perform steps to resolve QuickBooks Outlook email issues. Below are the multiple methods to get rid of QuickBooks Outlook Email Error Message with resolution steps. Right, Click on QuickBooks Symbol on your computer Desktop Screen. Open and Update your QuickBooks. Update your Windows and Restart the computer. Open QuickBooks and after the computer restart and try to send the email. From the menu bar Click on Edit menu >>> Preferences option >>> Send Forms. Close the company file and QuickBooks. Open QuickBooks Again and try to email the item with QuickBooks Outlook email problem occurred. If you still have the same QuickBooks Error sending emails with Outlook, proceed to the next method to resolve QuickBooks email problems. Sign out from the Company File and close the QuickBooks application. Press Windows + R key simultaneously and type explorer and click OK option to open Internet Explorer. Under the Tools menu, select Internet Options followed by Program Tab. The default email program must be Microsoft Outlook. Make the necessary changes if default app is different. Close the Internet Explorer Windows and open QuickBooks again. Try sending the email again, you shouldn’t have the QuickBooks email problems any longer. MAPI32.dll is a Microsoft Windows Component referred to as “Messaging Application Programming Interface” (MAPI) protocol to bridge messaging communication with the Microsoft Office and the QuickBooks Desktop as well. If there is any problem with this file QuickBooks Outlook Integration problems can occur. This method is very important and full of technicalities involved in it to resolve QuickBooks Outlook email problems. Open Microsoft Word and an exiting document. Click on the Mailing menu and send it yourself as a PDF attachment. If your Outlook Opens with errors verifies that the MAPI32.dll file is alright. 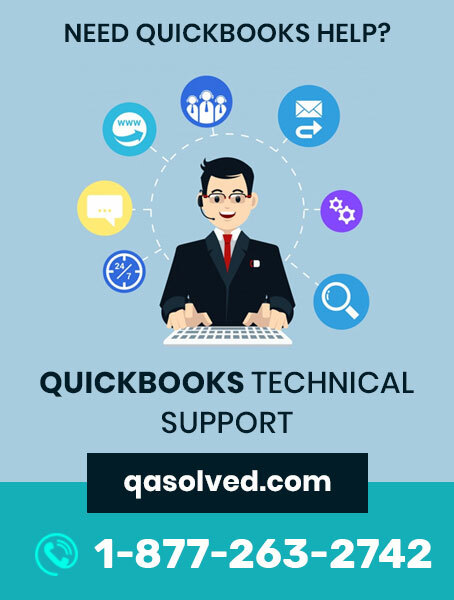 Call QuickBooks Technical Support for a diagnosis done on your QuickBooks. If you come across an error mailing the document from MS-Word, follow the steps to fix the MAPI32.dll file. Locate and double click Fixmapi.exe and follow the instructions as prompted. Restart the computer after the repair ends. The MAPI file repair resolves QuickBooks Outlook email problems most of the times. You should have any error while you send forms from QuickBooks to outlook after the successful repair. Last but not least, if the QuickBooks email problems through Outlook still prevails try Method 5. Method 5: Tune-up your Outlook and Reinstall QuickBooks with clean install. Close all the open applications and save you unsaved work before you do it. Open Task Manager and end all the QuickBooks processes. Rename all the QuickBooks application and program file with clean install tool and restart the PC. Manually rename the folder which was not renamed. Insert installation disk or download an installation source copy from the internet. Run the Installation wizard and follow the instructions. Open QuickBooks and reactivate your product. Update your QuickBooks with an option from the help menu. Open your company file and try sending the email. You shouldn’t have this Error: QuickBooks is unable to send your emails to Outlook anymore if the problem persists, it is recommended to get in touch with a Certified ProAdvisor who can offer blended support for Non-Intuit issues as well. Intuit doesn’t support Microsoft applications, you can try it yourself if you are comfortable performing these tasks or go as per the recommendation. This blog will help you resolve the issue in very less time. If the problem still exists, connect with our certified experts. Call us on our QuickBooks Error Support Phone Number 1-877-263-2742.